Covercraft Carhartt seat covers will keep your seats looking great for years - no matter what you try to do to them! 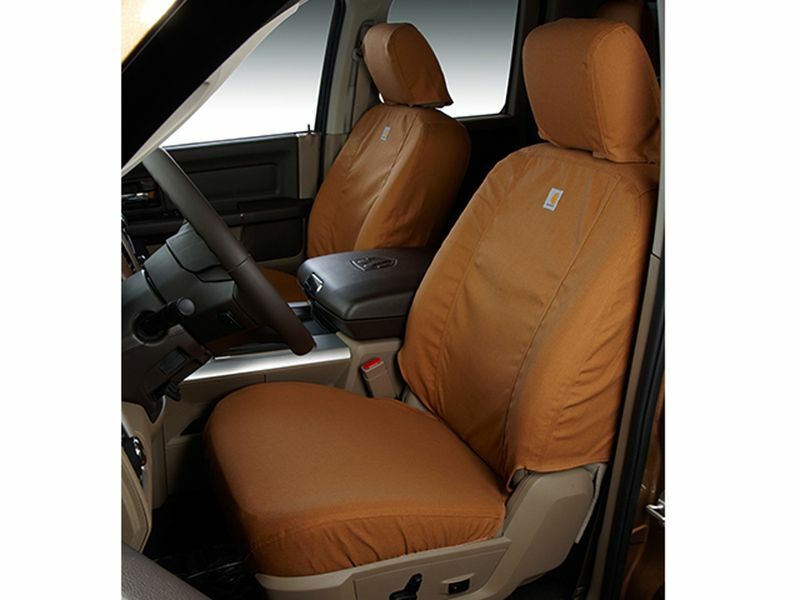 Made to the durable and high quality Carhartt standards, these seat covers are perfect for construction workers, kids, and the outdoor types. 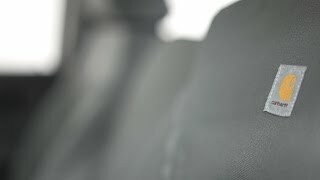 Custom fit to your specific ride, they are made from heavy-duty duck fabric that is protected with a durable water repellent finish. With strong overlapped, double, and triple-stitched seams, it is likely your pants will wear out long before these covers. They are easy to install and remove. Come back from a hunting trip and got all the muck and yuck on your new Covercraft Carhartt seat covers? Perfect! It isn't on your seat - mission accomplished! Just finished fighting an eight hour hay bale fire and covered in soot? Yep, you get the idea. Keep your life outside of your ride off your seats. After a bit of use, just take them off for a quick wash 'n dry at home. 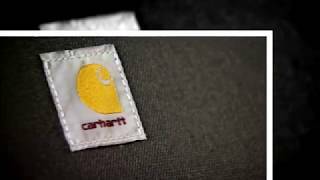 Take a look at these Carhartt SeatSavers and decide for yourself. Available in Carhartt brown and Carhartt gravel, pick the color to match your style. The included (where applicable) headrest and center console covers will finish out the look. Sold in rows, so don't forget the back set! 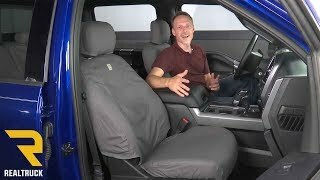 Covercraft offers a two year warranty on all SeatSaver car seat covers, truck seat covers, and custom seat covers. 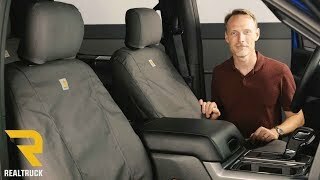 The Covercraft Carhartt SeatSavers are an easy at home installation. For additional information call us at 1-877-216-5446 or 701-253-5906.